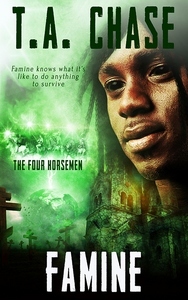 Saving a dying man might be just what Famine, the Black Horseman, needs to feed his starving heart. Having been sacrificed by his village shaman, Famine knows what it’s like to do anything to survive. He wanders the world, sowing drought and starvation in his wake. Yet he hates being the Black Horseman more than anything in the world, except the man who ended his life all those centuries ago. Famine never stops doing his job, and never allows himself to fall in love. Ekundayo wants a better life for himself, so he steals a diamond from the mine where he works. Nothing goes well for him after that, and he finds himself dying in the desert on his way to the border. When he’s rescued by Famine, Ekundayo isn’t sure if his luck has changed or not. The longer he stays in Famine’s company, the more Ekundayo discovers he just might be falling in love with Famine. One bad choice of Ekundayo’s part, and a future together seems out of reach. Will Famine let his only possibility of love go or will he defy Death himself to keep Ekundayo? Reader Advisory: This book is best read in sequence as part of a series. Publisher’s Note: This book was previously released under the same title. 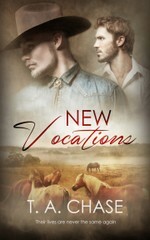 It has been re-edited for re-release with Pride Publishing. His throat burning with thirst, Ekundayo stared up into the brilliant blue sky. He should move out from under the burning sun, but he couldn’t work up the strength to climb to his feet or anything like that. There was no water to be had in the rocky outcropping he’d taken refuge on. The mine guards called out to each other as they searched for him. They were actually moving farther away from where he was hiding. He wasn’t sure why, when the dogs should have been able to find him without any trouble. Maybe they hadn’t got the dogs out since water had been getting scarce over the past several days. Why had he run away? What moment of madness had infected his brain, and convinced him that stealing from the mine was a good thing to do? Ekundayo stuck his hand in his pocket and ran his fingers over the rough edges of the lump. Having worked at the mine since he was ten, Ekundayo recognised the value of the diamond that had been hidden underneath the dirt and rock. He should have turned it in with the rest of his ore and taken the food he would have been given. Not that there was much. While the world thought the mines being run to humane conditions, those who worked there could have told them differently. The miners worked sixty hours a week in ten hour shifts, for little pay and little food. Most of them were little more than slaves to the owners. Ekundayo smiled, and his dried lips cracked, blood seeping through the wounds. Madness indeed. 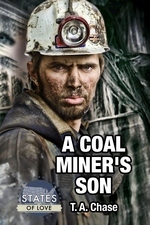 Maybe he could go back to the mining offices and plead for his life, saying the heat and the lack of food had driven him to momentary insanity. Yet it wouldn’t matter. He would be executed as a thief if he returned there. Should he try to get away? Run somewhere no one would know him, and try to sell the uncut diamond? That probably wouldn’t work because the mine owners would alert officials that one of their workers had stolen something from them. How did they know he’d taken something? It wasn’t like they had a tracking system or anything like that. One of the other workers had probably seen him pick up the diamond and stick it in his pocket. They were encouraged to tell on each other. All of the mines jealously protected their products and didn’t share their wealth, not even with those who dug the diamonds up. Ekundayo shook his head, closing his eyes as his vision blurred. Idiot. What had he been thinking? The sound of movement faded away, and Ekundayo rolled over on to his stomach, peering through the boulders. No one was around. Maybe he could make it to the border. Slipping into Zimbabwe might be difficult, but he could do it. Yet again he was crazy to think he could escape that way. The mines would talk to the authorities and they would be on the lookout for him. He didn’t know how much time had gone by since he’d come to lie in the circle of boulders. At least two hours or so, since he’d glanced up to check the position of the sun. Sweat trickled down his face, dripping into the thirsty dirt beneath him. He needed to go and find some water, somewhere, because he was sweating it out more than he could replenish. Dehydration was a very real possibility outside the city. Hell, it was a possibility even inside the city limits. Could the Gods be mad at them? Had the miners and the men they worked for offended them to the point where they had turned their faces away from their followers? Ekundayo knew he could be beaten for not believing in the Christian God, but all his life he had followed his grandmother’s teachings, and she taught of the old Gods. Ekundayo sighed and coughed as dust coated his throat. Choking, he buried his face in his arm to muffle the noise. Whether the guards were still there or not, there could have been other people around. He didn’t want to take the risk of being found by anyone else either. He didn’t have enough strength left to fend someone off if they chose to rob him. When his coughing fit ended, Ekundayo pushed himself to his feet, and staggered down from the rocks on to the trail. 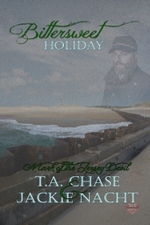 He dragged his feet on the ground as he stumbled in the opposite direction to the mine guards. He would try to make it to the border, and see how his situation looked when he got there. At what point had he become a thief? He shook his head, hoping the spinning would stop as he walked. When had he given up his integrity and turned into the very type of person he’d usually be disgusted by? His knees buckled and he fell, hitting the hard-packed dirt with a crack. He barely managed to catch himself with his hands before smacking his face on the ground. He’d become one of those men because of the gnawing hunger in his belly and the burning thirst in his throat. He’d chosen to take something that wasn’t his because of all the things he would never be able to afford. Mostly, he’d stolen because of the empty hopeless eyes of the children in his village whose stomachs were bloated without enough food to eat. Foolish and ambitious were words his grandmother had often used to describe Ekundayo. He would own up to being foolish, but he’d never really considered himself ambitious. He simply wanted something better than what he had, though he’d never have thought he’d steal for it.